Access World Logistics Corporation is proficient in the disciplines of standardized export packaging and crating, to ensure proper protection during shipment. AWL offers both in-house and on-site packing for project cargo movements. Doing so, allows us to oversee all aspects of every project that we take on to ensure the highest of quality is delivered to all of our clients. We partner with you to learn the specifics your project requires to safeguard your products. We customize comprehensive solutions that incorporate first-class materials and workmanship. Our solutions exceed ordinary industry standards to ensure your satisfaction. Our company is founded on quality and repeat business. It is our goal that you are more than satisfied and return to us for all of your shipping, storage, exporting, and packaging needs. 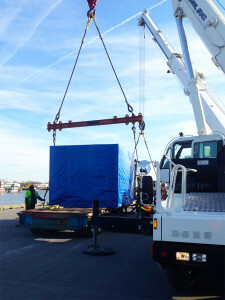 AWL offers both in-house and on-site packing for project cargo movements. Doing so, allows us to oversee all aspects of every project that we take on to ensure the highest of quality is delivered to all of our clients. We partner with you to learn the specifics your project requires to safeguard your products. 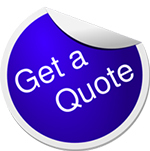 We customize comprehensive solutions that incorporate first-class materials and workmanship. Our solutions exceed ordinary industry standards to ensure your satisfaction. Our company is founded on quality and repeat business. It is our goal that you are more than satisfied and return to us for all of your shipping, storage, export, and packaging needs.AWL offers both in-house and on-site packing for project cargo movements. Doing so, allows us to oversee all aspects of every project that we take on to ensure the highest of quality is delivered to all of our clients. We partner with you to learn the specifics your project requires to safeguard your products. We customize comprehensive solutions that incorporate first-class materials and workmanship. Our solutions exceed ordinary industry standards to ensure your satisfaction. Our company is founded on quality and repeat business. It is our goal that you are more than satisfied and return to us for all of your shipping, storage, export, and packaging needs.AWL offers both in-house and on-site packing for project cargo movements. Doing so, allows us to oversee all aspects of every project that we take on to ensure the highest of quality is delivered to all of our clients. We partner with you to learn the specifics your project requires to safeguard your products. We customize comprehensive solutions that incorporate first-class materials and workmanship. Our solutions exceed ordinary industry standards to ensure your satisfaction. Our company is founded on quality and repeat business. It is our goal that you are more than satisfied and return to us for all of your shipping, storage, export, and packaging needs.